Thinning scissors made from damask steel (032 LAYERS) with semi-offset handle. 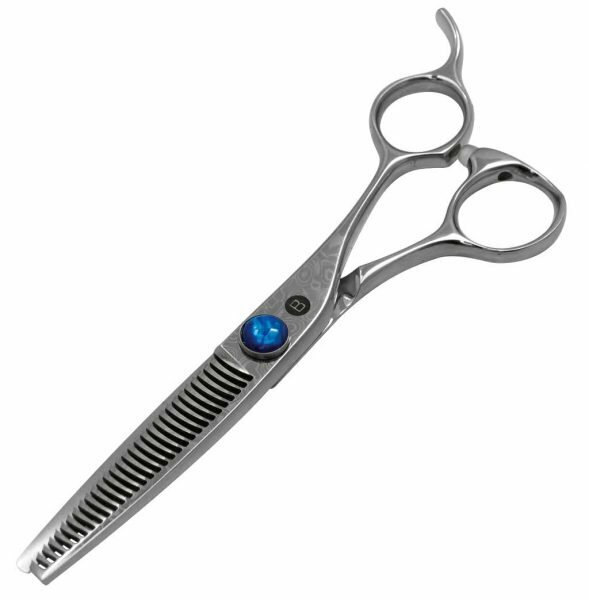 Soft, sawing cut for decisive thinning. Recommended by styling experts for many different uses. Fitted with a second screw for individual style.